Last Friday, (11th September 2015), Bausch + Lomb launched Lacelle™ Jewel, a montly disposable coloured contact lens in Malaysia in a glamorous way. 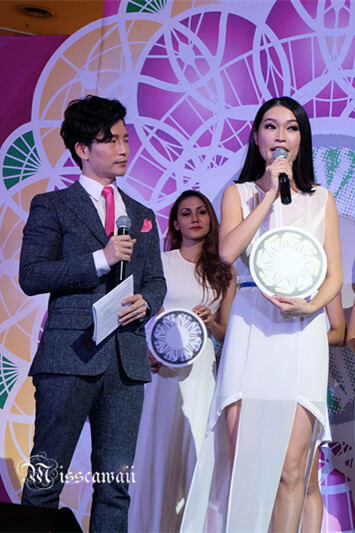 There are few artists are performing include Atikah Suhaime, Malaysian Charbor Joyce Chu, Hip Hop Dance Group Soul Krazy and also having fashion showcase featuring by Celebrity Supermodel Amber Chia and her models. While waiting the grand launch start. 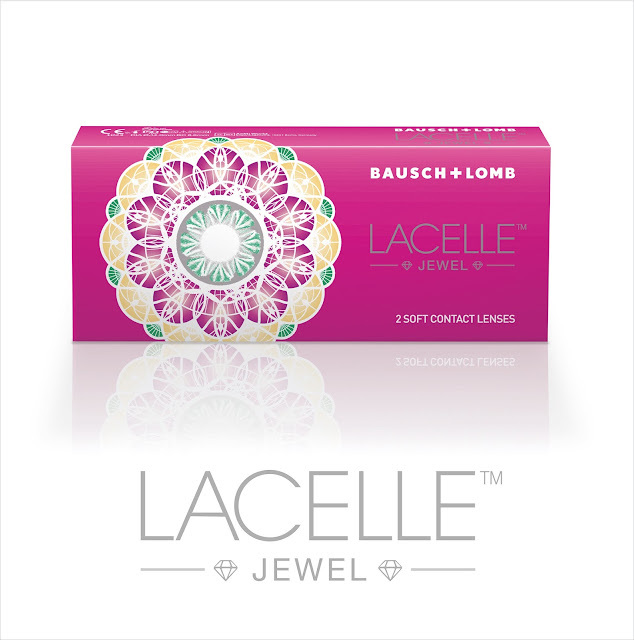 With the latest and newly improved technology integration in Lacelle™ Jewel has a unique lens design that enhances the excellent lens centration and managed to make this series with the most significant coloured contact lens. 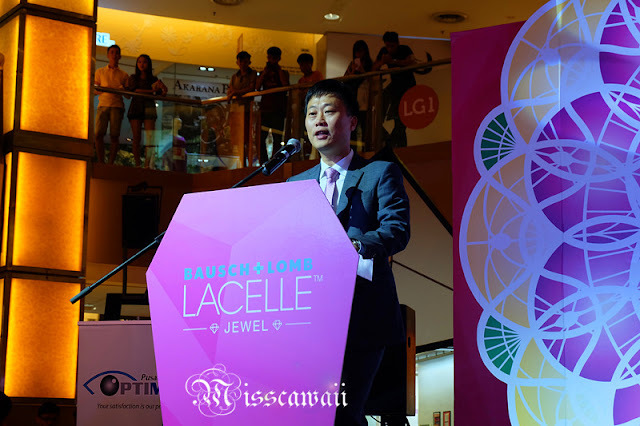 Jake Kim, Managing Director of Bausch + Lomb Singapore & Malaysia commented the Lacelle™ Jewel has emphasize the most important factor of safety and comfort when designing their contact lens. Don't worry about the safety of contact lens, Lacelle™ Jewel colour lens has been certified by the FDA with non-toxic and non-irritant to the eye to ensuring the protection to its users. 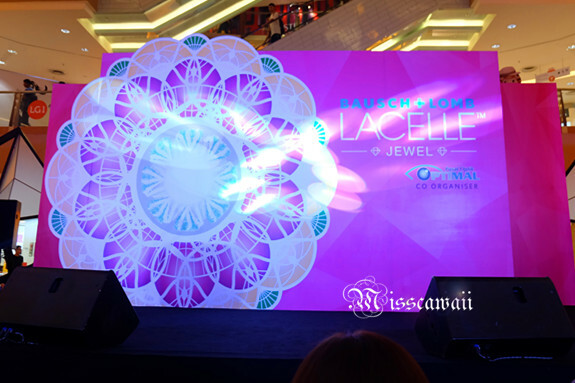 The grand launch of Lacelle™ Jewel is started by the dance performance by Soul Krazy. 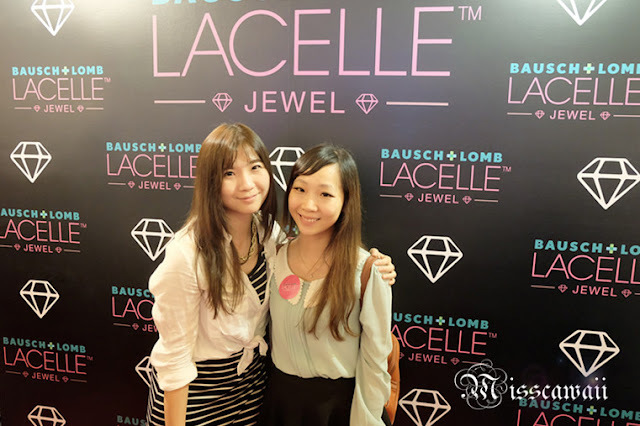 Follow by the Lacelle™ Jewel Fashion Showcase featuring by Amber Chia and her models. 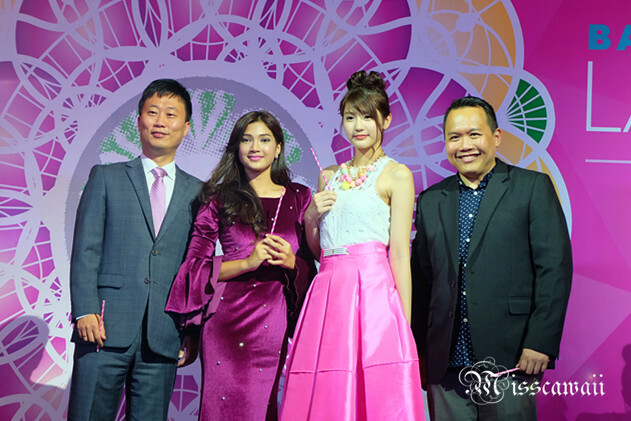 Amber Chia commented she is wearing Peridot Green contact lens for whole day and it is very comfort to her. 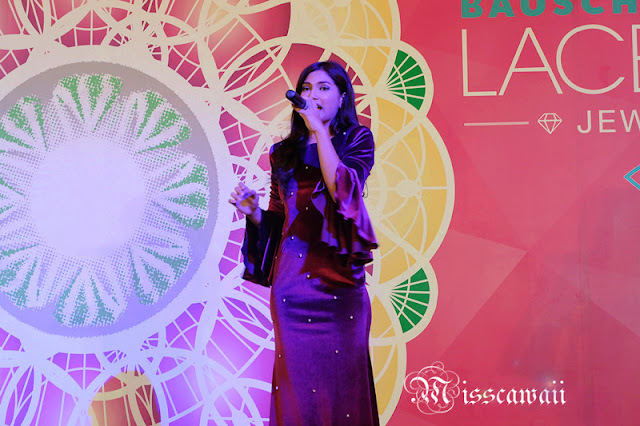 Coming with the singing performance by Atikah Suhaime and Joyce Chu. 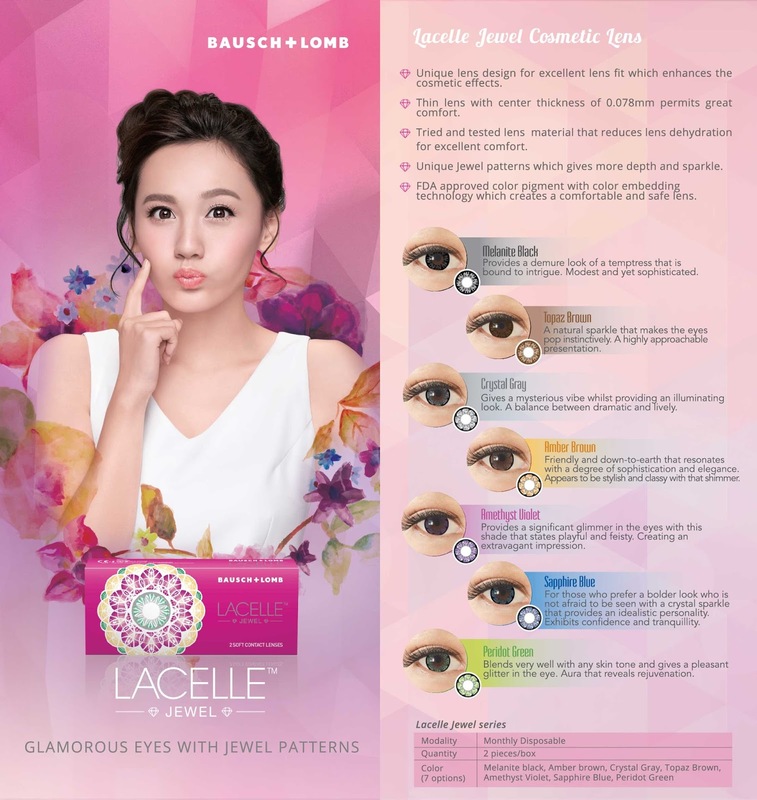 In conjunction with the launch of Lacelle™ Jewel contact lens, Bausch + Lomb will be running the Bausch + Lomb Care for Your Eyes charity campaign from 11th August to 30 September 2015, Bausch + Lomb will make a RM5 donation to the Malaysian Association for the Blind for every video uploaded during campaign period. Guest are performed the eye exercise on the stage. The design of Lacelle™ Jewel has enlarges the iris to portray naturally bigger eyes due to the unique and colourful jewel patterns will give more depth and brilliance. When we are wearing the Lacelle™ Jewel will make the eyes distinctive and bright, this has make the eyes looking naturally coloured rather than artificial. 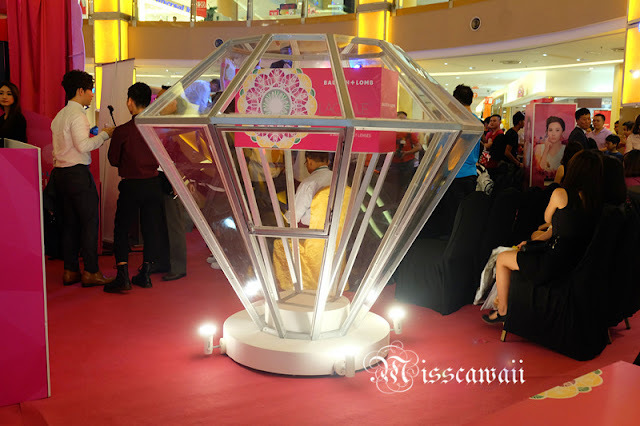 Let's we see the information of this amazing Lacelle™ Jewel contact lens. The water content has provide comfort to the contact lens wearer and minimize protein uptake from our tears for hygiene and ease of lens wearing. The Lacelle™ Jewel is very appealing and come with 7 colours to choose from, it can match any outfit of the day to enhance your look. The colour include Melanite Black, Topaz Brown, Crystal Grey, Amber Brown, Amethyst Violet, Sapphire Blue and Peridot Green. Thanks from Bausch + Lomb and I have one Lacelle™ Jewel Topaz Brown for my eyes. And having us in this grand launch. 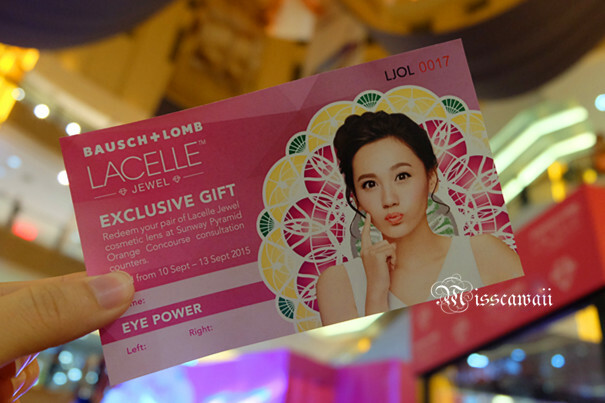 Lacelle™ Jewel is available from 1st September 2015 at all major optical dealers with retails at RM68/box. Let's share with me if you have bought one from this series. Got a pair of these as well. Looking forward to trying it out myself. I'd love to see them in someone's eyes. Gotta be striking!! 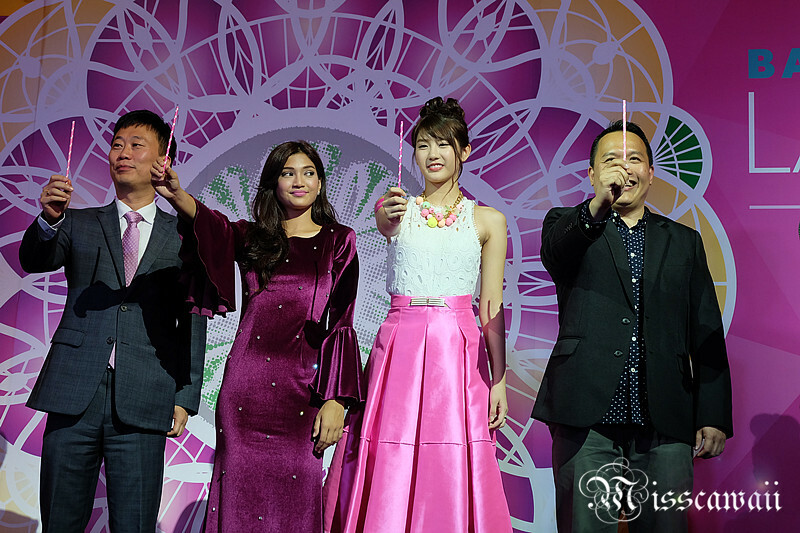 The event really stunning with beautiful ladies. 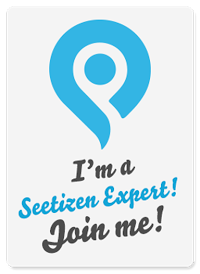 With the benefit of wearing it, I got to try it already. wow nice color, so many colors to choose from. I was invited but can't make it due to uneasy feel of the haze. Wow! Such a cool launching! THe colours are really nice! 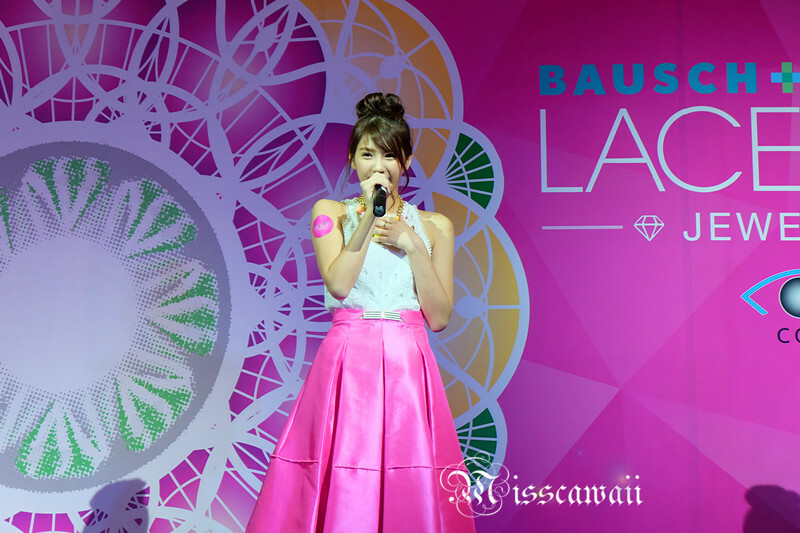 I love Bausch and Lomb contact lenses and using it from years now but havent tried the coloured lenses yet. Omg i love colored contact lenses, now I have a new brand to check out! The designs look great! Wow... sure bling bling eyes. I sure miss out a lot for not able to make it to the event. 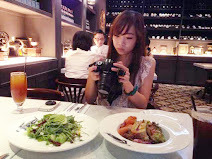 Wa looks like the performance and many artist around! Too bad I'm working not able to go to their launching! 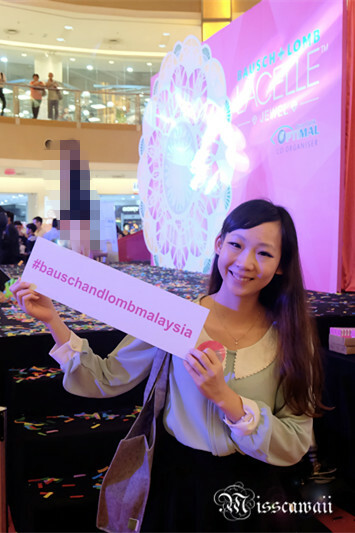 What a lovely event dear :) I don't really wear contacts so I cant say much but the range definitely does look promising.